The original Pavilion Chair was Designed in 1928 for the worlds fair in Barcelona Spain. Our entire series of imported world class products are made out of high end stainless steel frames, and the very best Italian leather that money can buy! These are not the low ball, bad knock off, pieces that you may see on E-Bay, or Amazon. Instead the are flawless modern art units that combine function with form to create an iconic statement. The Pavilion series would be at home in any living room, art gallery, or public space application. Our Pavilion seating units features premium grade 304 bar stock stainless steel for the frame. Single piece construction ensures long-term durability. The frame is shaped, welded and hand-buffed to mirror finish. Our frames are buffed slightly on the edges to remove any burs to insure complete safety. The back of the seat cushion is lower giving you a slightly more reclined position. Our chair uses 4" thick cushions and has a more ergonomic seat angle for better lumbar support design. This feature enables an easier position to get up from. We use the Capitonn� technique which uses individual tabbed squares of leather cut from a single hide and sewn, welted and tufted by hand. Each line is a "pipe" not just stitching. We use a total of 17 heavy saddle Italian leather straps ensuring durability and support. All straps are made to match specified upholstery color. The official version uses 34 stainless screws to secure straps to steel frame. We follow the same method using 34 stainless rivets to prevent the leather straps from loosening over time. Finally, our cushions are premium quality, highly resilient urethane foam with Dacron polyester fiberfill to match the official release. Gibraltar Furniture is proud to offer high end seating units at the lowest possible prices. This series is an all time classical masterpiece collection of fine art pieces. GibraltarFurniture specializes in modern classic designer chairs. Browse our complete selection of modern chairs such as barcelona chair, bar stools, modern office chair, chaise lounge, modern stocking chair, benches, ottomans and more modern furniture designers and manufacturers. We are very proud of serving you the best Retro Furniture at discounted price.All of these items are reproductions and inspired by the originals. Gibraltar Furniture is not a Knoll dealer. These products are not associated, connected, manufactured, sponsored, or affiliated with Knoll or Ludwig Mies van der Rohe's estate. In addition Ludwig Mies van der Rohe's estate has not originated, sponsored, or approved any of our Ludwig Mies van der Rohe style products. This is not a Knoll product. This notice is made to address any consumer confusion re trade mark and trade dress issues. The original design resulted from collaboration between the famous Bauhaus architect Mies van der Rohe and his long time partner and companion, the architect and designer, Lilly Reich. 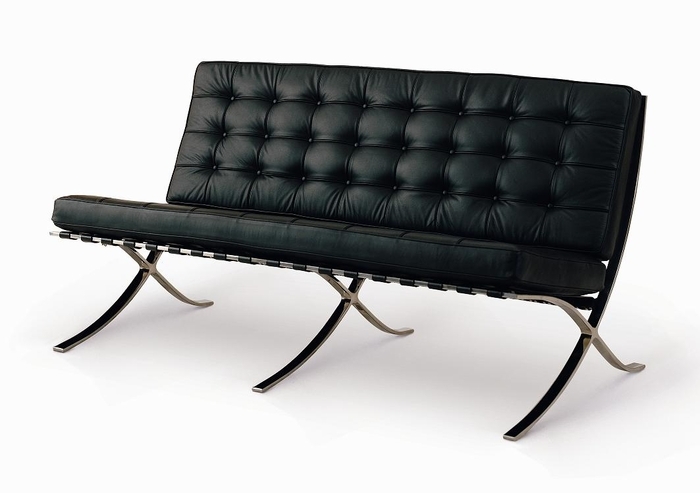 The Mies van der Rohe Collection is an icon of the "modern classical" style. Its design was inspired by its predecessors, the campaign and folding chairs of the Pharaohs and the Romans.